Swiss first-person view drone pilot beeb FPV flew an incredible long-range flight with his 6" racing mini quad. It takes the average person two full days to hike the iconic Matterhorn Mountain that sits on the border of Switzerland and Italy. Beeb FPV was able to fly to the 14,692 ft summit in approximately four minutes and return to a pedestrian lookout in less than that. In the film, the drone soars gracefully along one of the mountain's main ridges. The flight was only possible through a combination of expert piloting, no wind, clear skies, and warm temperatures. Had any number of factors, including a dwindling single Li-ion battery, impacted the flight, the small drone carrying a GoPro Hero 7 could have crashed. On average, twelve climbers perish per year while attempting to summit the Matterhorn. This film demonstrates the incredible power of racing drones. 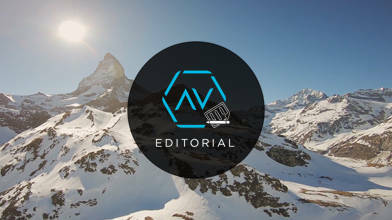 “The Matterhorn Mountain in Switzerland, Zermatt.” Zermatt, Switzerland, 2019, www.zermatt.ch/en/matterhorn. “Matterhorn.” Wikipedia, Wikimedia Foundation, 13 Mar. 2019, en.wikipedia.org/wiki/Matterhorn.